As any herbalist or midwife will tell you, the best way to care for the new life inside you is by nurturing yourself. That is why our herbalists harnessed the herbal power of raspberry leaf to help mothers support a healthy pregnancy*. With silvery leaves reminiscent of the moon’s glow, the raspberry plant has helped European and Native American women for thousands of years. 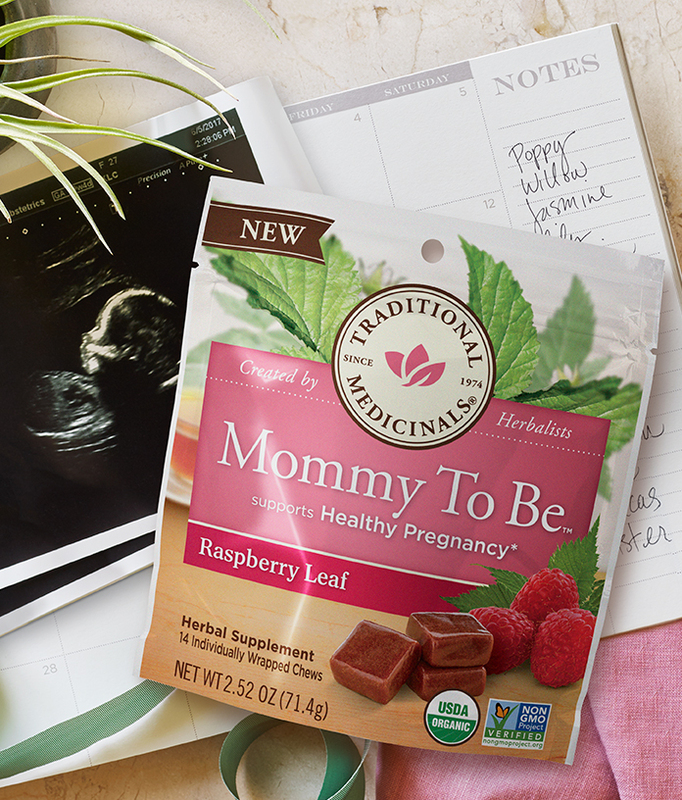 In addition to their many benefits, we love these chews for their touch of organic raspberry juice—the perfect bite of wellness for mommies-to-be! Bright raspberry with notes reminiscent of black tea in a satisfying, chewy texture. Take 1 soft chew 3 times daily.